During the war Frank Bullen served with Fighter Command, flying Spitfires and Mustangs. Before his demobilization in 1946 he spent periods on the Headquarters staffs of both 11 Group and Fighter Command. In 1946 he joined Blackburn and General Aircraft as a production test pilot involved in the testing of Firebrands and Prentices. He had also assisted Peter Lawrence with experimental flying on the S.28/43 Naval strike fighter. Frank Bullen joined the Hawker Aircraft Co. in July 1949 and was engaged in testing all the companies aircraft, Sea Fury, Seahawk and Hunter. 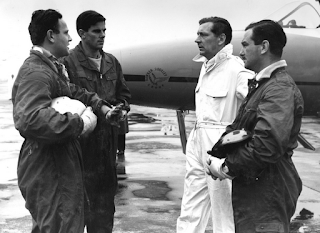 He was appointed Hawker's Chief Production Test pilot in 1955. 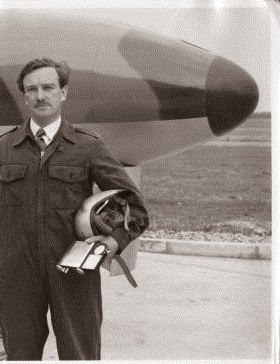 He retired from test-flying on September 30 1960 and joined Norman Starbuck & Co Ltd, Cranleigh, Surrey, as a director.